If your choice is cremation, turn to us, a family owned funeral home you can trust. We are the only local firm to offer the Cremation with Confidence™ Guarantee. Our ten step cremation process guarantees that your loved one will be well cared for at all times and that the remains returned to you are those of your precious loved one. We have a strict code of ethics and procedures we adhere to while your loved one is in our care. And, we have a preferred partnership with only one local crematory that we know and trust. Together, we uphold the strictest ethical standards. As part of our procedures, one of our staff members will accompany your loved one to the crematory, and will personally bring the cremated remains back to the funeral home. We do this to ensure that your loved one is well cared for at all times, and to guarantee that the cremated remains you receive are those of your loved one. Upon arrival, your loved one is logged into our computer system and assigned a case number. This number is used to track the cremation process. Our tracking system includes date and time of arrival at our facility and the cremation appointment time. Personal belongings are cataloged and placed in a secure locker for their return to the family. Our staff will bathe and dress your loved one in the clothes provided by the family or a gown we provide. Then, we will ask you, or a representative, to positively identify him or her prior to cremation. This identification is available immediately after the arrangement conference. We provide a comfortable setting where immediate family may have up to one hour for a private goodbye. Three individuals – a crematory technician, a licensed funeral director and the funeral home manager – will review all cremation paperwork and permits. This is to ensure authorizations and permits have been received and have been properly documented. Once all documentation is verified, all three individuals will sign the cremation order prior to the cremation. At least twice a year our cremation specialist conducts impromptu crematory inspections to ensure that the facility is clean, that proper documentation is kept and that equipment is in good working condition. We also interview crematory technicians to assure that proper procedures are being followed and that cremations are being conducted in a dignified manner. Upon arrival at the crematory, your loved one’s personal identification is noted in the cremation log. This log shows the name of the individual, date and time of the cremation and crematory technician’s name. The crematory technician initials the cremation log before and after the cremation. The crematory’s checklist and identification receipt are placed on the outside of the cremation chamber during the cremation process. 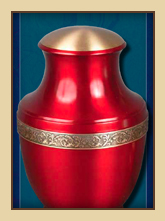 After the cremation is complete, the cremated remains are placed into a temporary urn that is suitable for transportation. Our staff will notify you to schedule a time for receipt of the cremated remains. At the funeral home, we can provide a dignified setting in which to receive the urn, where you may spend a few moments, privately, in quiet reflection. Or, we can hand deliver the urn to your home. We will assist in planning a funeral or memorial service, either before or after the cremation, which will appropriately celebrate the life of your loved one. A meaningful ceremony provides an opportunity for family and friends to pay tribute to your loved one and to share the memories of a lifetime.